Bihar Board in the exam asks two types of question Subjective and objective. In Subjective students have to answer the question in order to the words and Objective question they have to choose the correct option from given 04 option. Objective Question is also know by Multiple Choice Question. In this post going to provide the Bihar Board Chemistry Compartmental Exam question subjective. 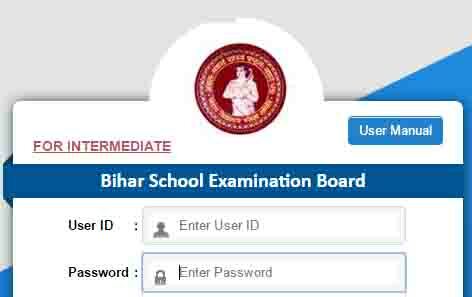 Below on this page, we have updated the many useful details for the students to download and get information about the Bihar Board. Students have to answer the question number 01 to 11, in short, there are two marks is for one question correct answers. Question no- 1. Write two important properties of ionic crystalline solid. Question no – 2. Define point defect. Why is Franklin defect product in solid crystal ?. Question No- 3. define species conductance and molar conductance for the solution of an electrolyte. Question no – 4. what is the main difference between physisorption and chemisorption? Question no- 6 How will Acetone be converted into chloroform? Question no- 7. How will you convert the following? Question no – 8. Explain why is phenol acidic? Question no -9. Write hydrolysis reaction of sucrose? Question number 12 to 15 are long answer type. Each question carries 05 marks. Question no -12. (a) Define osmosis and osmotic pressure. (b) What is Galvanic cell? How is Daniel cell represented? Write chemical reaction of Daniel cell? (a) What is half-life period of the chemical reaction? Write the formula for calculation of half-life period of first order reaction. (b) 5-gram urea is dissolved in 100 gram of water. Calculate is osmotic pressure at 27.C. (R= 0.82 liter atm). Question no 13. Discuss the chemistry of group 15 elements with special reference to the following. (a) Phosphene gas reacts with the HgCl2 solution. (b) Ammonia gas is passed in nessler’s reagent. (c) Iodine reacts with potassium iodide solution. (d) Sulphur Dioxide gas is passed in ferric chloride solution. (e) Bleaching powder reacts with hydrochloric acid. Question no – 14. (a) What is ambidentate ligand? Give on example. (b) Write the I.U.P.A.C Nomenclature of [Co (NH3) 5(CI] SO4 and write oxidation number and coordination number of Central Metal Atom/Ion present in this coordination compound. (b) Sulphuric acid from sulphur Dioxide. How is the following prepared from acetic acid? Hello, students want to know any more things about the Bihar School Examination Board Class 12th examination then ask through the comments. This website is going to provide soon the study material to the students who are reading in class 11th & 12th class. Keep in touch with us and join Facebook like page group of the students. Compartment result kab tak aayega sir.